The WINTER OLYMPICS remained far above everything else–except its own predecessors. NBC: The WINTER OLYMPICS had a preliminary 3.9, compared to these parallel nights: 2014 Sochi 5.0, 2010 Vancouver 5.5, 2006 Turin 7.5, 2002 Salt Lake City 13.5. 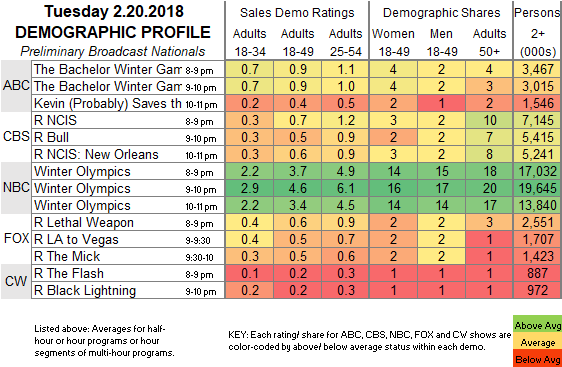 ABC: THE BACHELOR WINTER GAMES ticked up to 0.9 from last Tuesday, and KEVIN (PROBABLY) SAVES THE WORLD followed at 0.4. THE AMAZING RACE airs its season finale tonight. 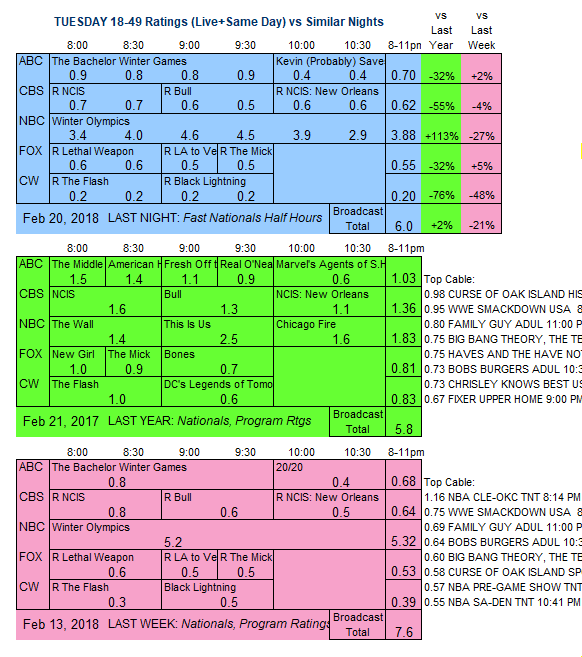 CABLE RATINGS: Come back Thursday morning for detailed demographic ratings for top Tuesday cable programs, later than usual due to the Presidents Day holiday.